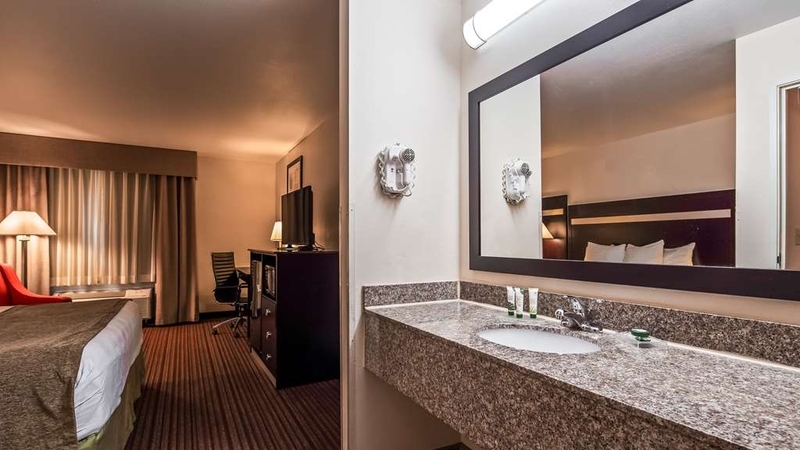 El Best Western Parsons Inn se encuentra en el centro de Parsons. Venga y disfrute de las mejores atracciónes turísticas cerca de nuestro hotel. Precios bajos garantizados y ofertas exclusivas. Los entusiastas de las actividades al aire libre podrán disfrutar de su estancia en nuestro hotel de Parsons, situado a sólo unos minutos de las mejores actividades de ocio del área del Lago Bug Hill y Big Brutus. Pase el día recorriendo la reserva de fauna de Neosho o de pesca en Neosho State Fishing Lake. Desde actividades de senderismo y ciclismo hasta pesca o simplemente relajarse a orillas del lago, todos los viajeros podrán encontrar algo de su interés en nuestro hotel de Parsons. Los globos aerostáticos, las bicicletas, el Blues y las barbacoas son algunas de las actividades ampliamente extendidas en esta región. Desde el vibrante evento Katy Days hasta la Farm Heritage Celebration, aquí podrá encontrar todo tipo de actividades en familia. Nuestra proximidad a las empresas locales le permitirá disfrutar de la mayor comodidad durante su viaje de negocios. 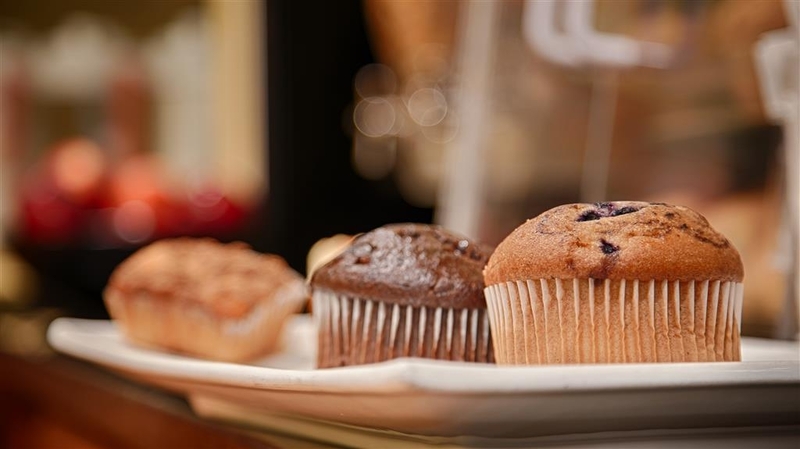 En nuestras habitaciones encontrará nevera y microondas para estancias prolongadas, acceso gratuito a Internet de alta velocidad y un desayuno gratuito de lujo con bufé de gofres, fruta fresca, pasteles, cereales calientes y fríos y café 100% Arabica. Nuestro personal se encargará de proporcionarle una fantástica estancia. El parque industrial Great Plains atrae a numerosos empleados de fuera de la ciudad y nuestro hotel está encantado de alojarlos en sus instalaciones. Nuestro hotel es asimismo el establecimiento elegido por los empleados del centro médico del condado de Labette, Ducommun AeroStructures y CST Storage Technologies. Si se encuentra aquí en viaje de negocios, asegúrese de reservar algo de tiempo para visitar Claythorne Lodge o el rodeo Sunbelt. Grand View Products, Beachner Grain, Taylor Products y Power Flame son algunas de las empresas locales que atraen a numerosos empleados de fuera de la ciudad. Cuente con nosotros para convertirnos en su segundo hogar. En las inmediaciones de nuestro hotel de Parsons siempre podrá encontrar algo de su interés. El evento Southeast Kansas Home Show, la celebración del 4 de julio y el desfile Holiday Royalty son otras de las principales atracciones de la zona. Visite Parsons para asistir al torneo de golf Chamber, el Parsons Annual Banquet Legislative Coffee o el evento Industry Appreciation. Con un gimnasio, una extensa piscina cubierta y el servicio de nuestro cordial personal, los huéspedes se sentirán como en casa durante su viaje. Reserve una de las confortables e impolutas habitaciones del Best Western® Parsons Inn y comience sus vacaciones de la mejor forma. Disfrute de su estancia en nuestro hotel. This motel was very clean, secure and well managed. The rooms (I rented 2) were very up to date, fresh and inviting. The staff was always friendly and accommodating, eager to please. We had our daughter and her children along, hence the two rooms. Our big group had plenty of “special requests” from housekeeping about servicing the rooms later or extra towels for swimming which were always met with a nod and a smile. We love this motel and will definitely stay again if in the Parsons, KS area. Not a traveler for years, but when I spent $$ for a nights stay, I would expect everything to work and not have the fursturation wasting time getting them operational (TV Remote, Room Phone) and think their WIFI was out of service - as after three attempts gave up!! Stayed here on 10/30/18. The room and bathroom were very clean. The bed quite comfy in a no noise room. All the room fixtures were in working order. There were no odd smells. Check in and out was easy and correct. The staff was friendly and helpful. Breakfast was hot and tasted good. I would stay there again. "If you have to stay in Parsons, KS"
If you have to stay in Parsons, KS, you might as well stay here. It is clean, the breakfast isn't bad, and the staff is pretty friendly. Having seen other hotels in the area, I'd certainly choose this one over others. Staff was vey friendly and courteous. Room was very clean and functional. Location is perfect, just out of town a little. Breakfast was great and the window of time for breakfast was long. Nice to have a small fitness center available. We would like to thank you on behalf of the entire team for your wonderful feedback. We strive hard to make our guests feel like family. 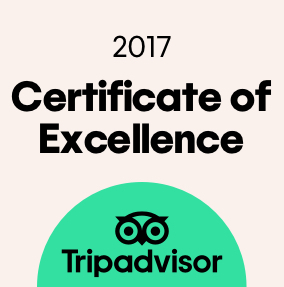 We are humbled to have met your expectations and exceeded them. We hope to see you back soon. Again, thank you for your feedback. Had an excellent stay at the Parsons Inn. Room was very clean and comfortable. Good service from everyone. Breakfast was similar to most motels. Food was decent and pretty good variety. Breakfast area was very clean. What an odd structure. If you have a sensitivity to mold and mildew, find someplace else. This building and the rooms need major dehumidification work, a/c upgrades and lower prices - you end up paying way more than what it's worth. While the staff were pleasant, I could not wait to leave. 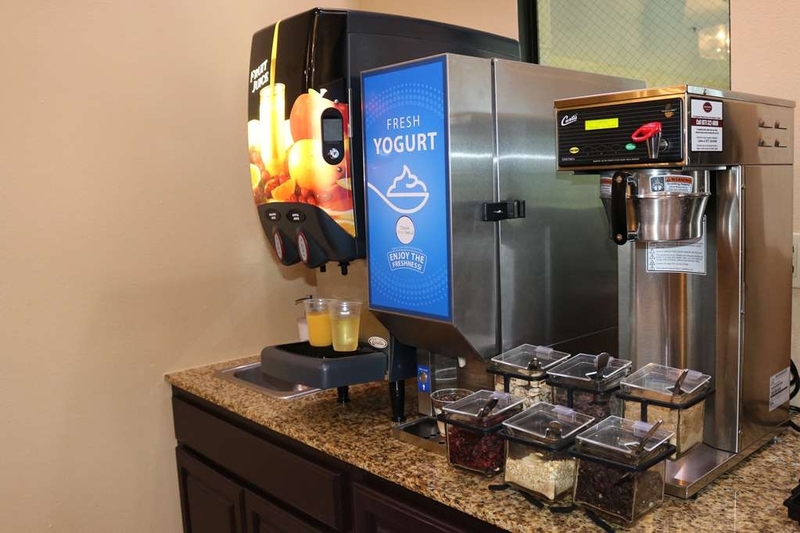 I always look forward to staying at a Best Western Motel; they are predictably aware of my needs: microwave, refrigerator, and healthy breakfasts. The nice surprising bonus is the indoor swimming poo in Parsons, KS!l! "Reservations were not right so we left"
Reservations were suppose to be on first floor. My wife has knee problems and cant go up stairs. Was given senond floor and since the hotel had no elevator we were forced to leave. Front desk lady was very understanding though. It is a real treat when a venue exceeds your expectation! I am so tired of listening to truck traffic all night at so many motels; none of that here. The mattresses were also much better than at many more expensive locations. Add to all of this, a most helpful staff and you have a very fine overnight stay- truly best western! We appreciate you taking the time to fill out our survey. We are very pleased to hear that your stay was enjoyable and comfortable. We as a team at Best Western Parsons Inn strive hard to meet customer expectations as we did yours. Thank you for the support. We look forward to seeing you again. first room I checked into wasn't cleaned up from previous guest. second room good to go. internet works good, had hot water. next morning no hot water, front desk said hot water heater is working. so cold shower. when I checked in I was told my receipt would be under my door early a.m. no receipt so I called front desk and I was told they would not give me a receipt because I made reservation through a 3rd party which was through best western website. I had to argue to dispute my credit card bill till I got a receipt. finally got one. If you want clean towels and rooms to be cleaned daily. This is not the place. Stag is nice and friendly but does not like to work. Wanted to give us towels to take to room to take care of problem of no room service. Has happened on last to stays here at this hotel. We had two rooms on the second floor. Both rather small but clean and acceptable. We needed additional towels. There is no elevator in the motel! With those exceptions, the motel is just fine for a one night stay. I have traveled many times to KS and especially Parsons. We enjoyed staying at the property and will stay again.Normally, we stay with friends when we travel to this part of KS. 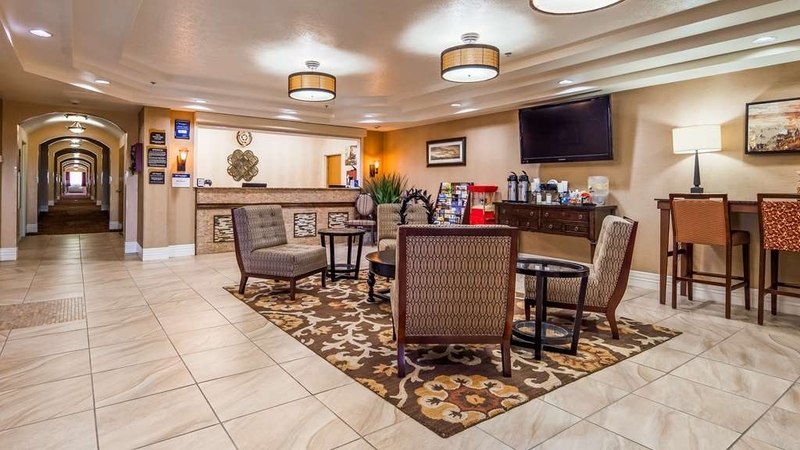 But this time, we chose the Best Western since we have used this chain before. Pleasantly thrilled with the opportunity. This was a nice BW. Check in was simple and friendly. The welcome bag was a nice touch as I am a member of the rewards program. The room was clean but the carpet had some stains. I wish hotels would all go to wood floors. Breakfast was fine. Hotel was accommodating with me needing a room for 5 nights. Check in was easy. 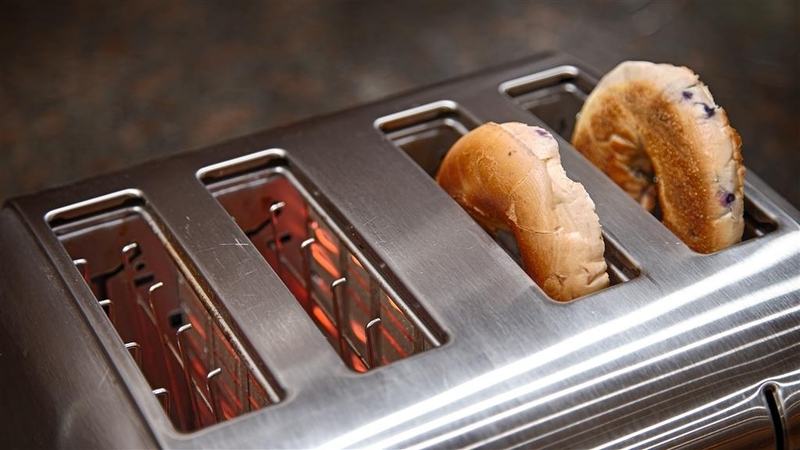 The continental hot breakfast was great! Check out was easy. HOWEVER..... The first time I used the shower, the handle broke off the wall. Two of the lamps did not have light bulbs. The internet would not stay connected to any of my devices. The mini-fridge froze my food. You can't unfreeze a salad. Dear 588terria Thank you for your review. We, as a team take everything and use toward informing and training. We would like to apologize for the mishaps that happened during your stay. We can guarantee these are fixed now. Please come back and try us again we would love to give you another impression. Thank you again for filling out the survey. The Best Western Parsons Inn Team. 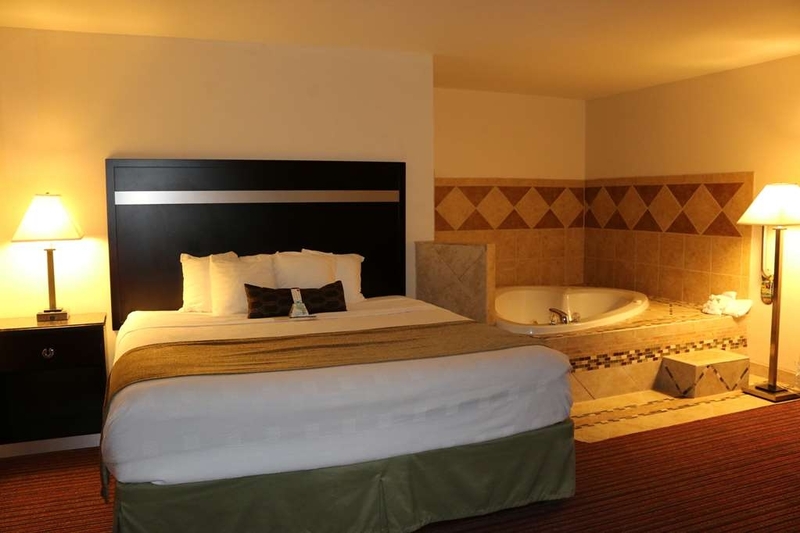 Spotlessly clean, large comfortable room, comfy bed, quiet, and smelled good! Great shower, instant hot water and strong water pressure.Staff very accommodating and friendly. Helpful with directions and restaurant suggestions. They even tried to help me when I had a problem with my rental car gear shift :) Highly recommend! Dear Marilyn W, Thank you so much for taking the time to fill out our survey. We appreciate your feedback. We are very happy you enjoyed your stay with us. 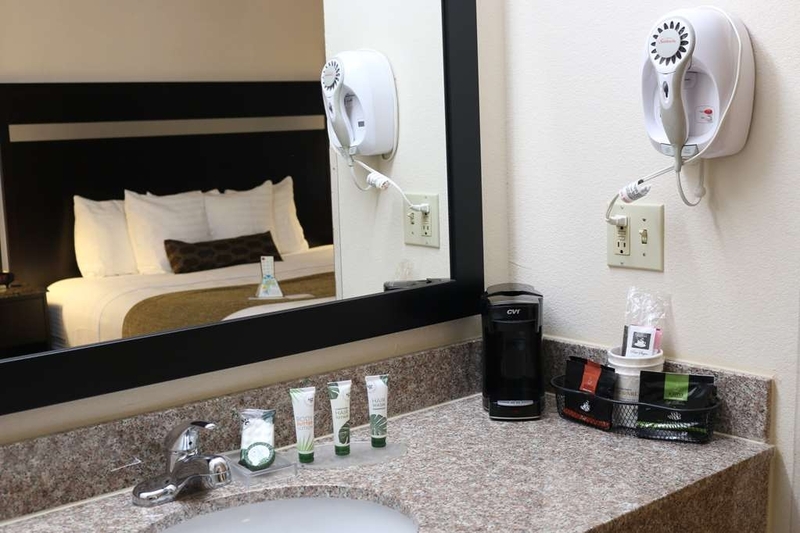 We are here to make our guests feel at home. We look forward to having you back. Again, thank you for the feedback. "Best in the area of Parsons!" 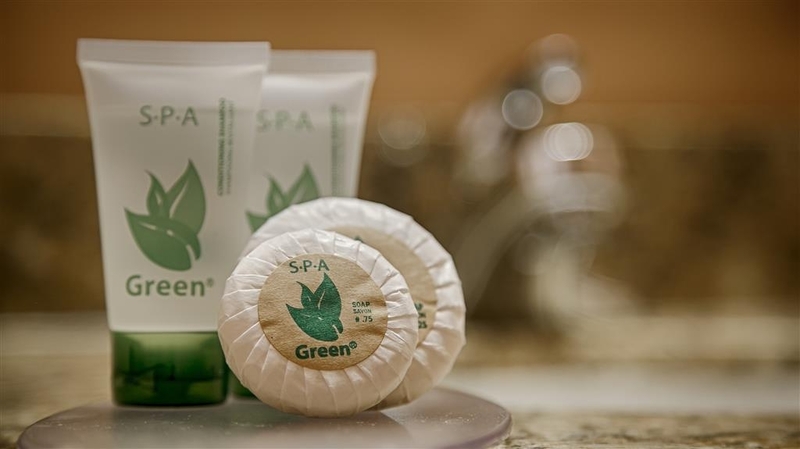 Clean rooms, quiet atmosphere, and friendly, helpful staff. We have stayed here several times, and we have no big complaint about anything. Be prepared to carry your luggage upstairs to second floor--no elevator. Breakfast is provided and is sufficient. For other meals, you can go to fast food places in area and, if you want better food, drive to Chanute or Iola! Thank you so much for taking the time to fill out our survey. We are very pleased your stay was enjoyable. We as a team, strive hard to meet customer expectations as we did yours. Thank you for your continued support. We look forward to seeing you again. The rooms are clean and updated. The staff are exceptional. Mrs. Hailey was very nice upon check in. Thanks to all. It was a very quiet area. They also have an indoor pool. The parking lot was well lit and spacious. From the moment we arrived the customer service was exceptional. 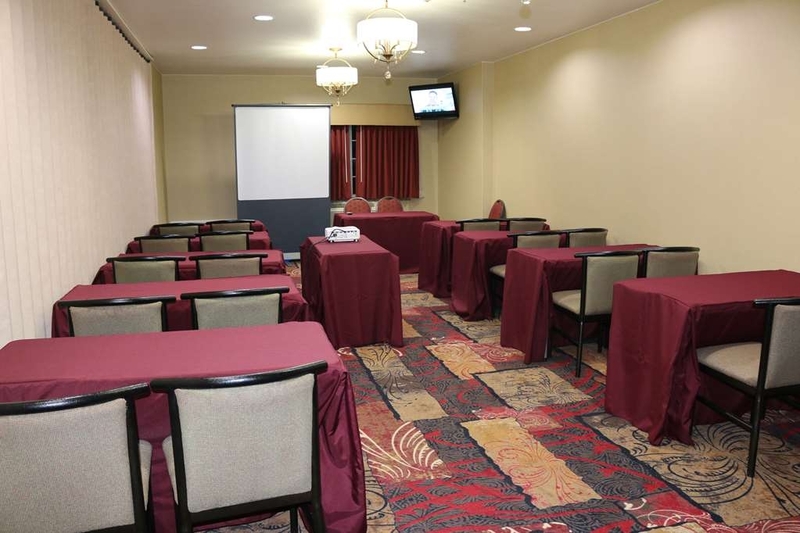 The room was perfectly clean and well appointed, also very quiet. Excellent breakfast with all usual offerings. We had been looking for a map of Kansas but to no avail, when mentioned to the owner he went out to the Chamber of Commerce and got one for us for no charge - a wonderful gesture which was gratefully appreciated. Thank you! 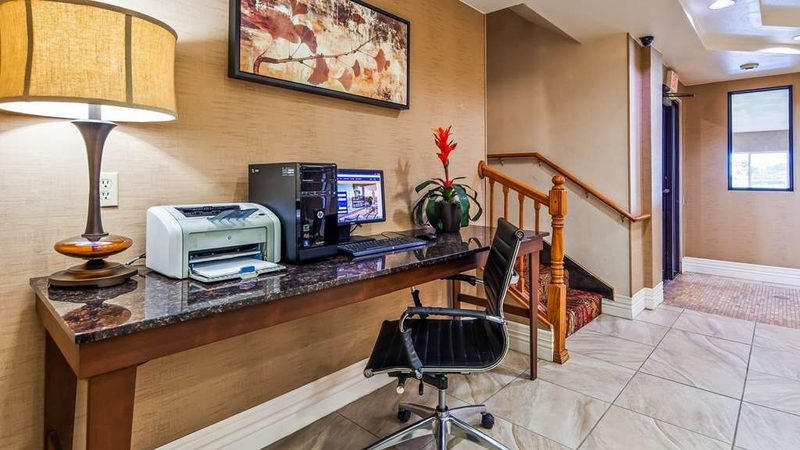 "Awesome Experience - Better than the big chains"
Very nice property, friendly caring staff, room very clean and accommodating, comfortable working desk and chair, plenty of electrical outlets, nice ironing board and quality iron . I would DEFINITELY stay again. "Good hotel for a decent price"
The complimentary breakfast is good, the pool area is very nice. Rooms are clean. Very decent hotel for the price. Close to the center of Parsons. Staff was very helpful and check in and check out process was quick and easy. My room was infested with bugs - about 1 inch long, black, looked like cockroaches but the front desk said they are "water bugs." In two nights I found 10, two of which were left on the floor by the maid. Until management posts acknowledgment of the problem and explains how it has been fixed, I would stay away. I would stay here again. The pool was nice and warm water. The breakfast could have have been better. The beds were very comfortable. Its was good deal for the price. The parking lot was clean and had plenty of lighting. Nice hotel in a small town. It is not fancy but clean and comfortable as well as convenient. I would stay there again. The breakfast had good quality and variety. The desk clerk was friendly and helpful although he recommended a restaurant that was not open on Memorial Day. "Hospitality and great value at their best!" The staff and facility were both great. Clean, safe location. Delicious and varied breakfast that was restocked frequently. A caring, competent and thoughtful team of people running the hotel. I was very, very impressed. We will be back! We would like to thank you as an entire team for your wonderful feedback. We strive hard to make our guests feel like family. We are humbled to have met your expectations and exceeded them. We hope to see you back soon. Again, thank you for your feedback. This is a nice basic hotel for those traveling to Parsons Kansas. The rooms are large and clean. The front desk staff is very friendly. You have a nice size desk to spread out and work on. Overall a great value. This is an awesome motel. Plenty of parking for 18 wheelers. Nice, clean, what more do you want? The staff is super nice. Rooms are very spacious. Close to anything you may need or want. I will be back. "noisy and rude in room next to me"
man in room 113 should have been arrested for disorderly conduct for refusing to quieten down after being asked by the motel staff at least 3 times. He had several people in the room at the time we got in from our meeting at 9:30. I didn't say anything until 10:30 pm and didn't get him to be quite till 12:30 am. Appreciated the overall experience. Breakfast items were well presented and tasty. Appreciated the extra effort in serving high quality options. I will mention that the check in and checkout experiences were excellent. Emanuel was very helpful and I felt that management truly empowers their hotel team to make decisions that reflect the importance of a positive customer experience. So, thanks. "Nice, clean hotel which has been upgraded." I had a recent three day stay for a family visit in Parsons. 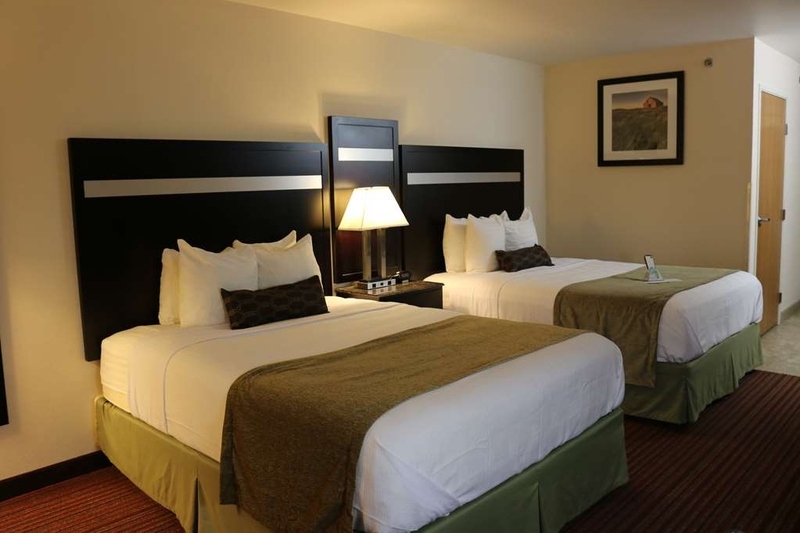 The staff are friendly and accommodating and the rooms are comfortable. Nice, clean exercise room and pool. They seem to be very busy, indicating a lot of satisfied clients. I have stayed here many times in the past and can attest to the nice upgrades. There are not many motel options in Parsons so this may be the best of them. The staff is very nice & efficient. Older building w updated decor. There is no elevator for the 2nd floor. The entrance consists of single handle doors separated by a few feet. They do not open automatically. Instead of loading a luggage cart once & pushing it thru automatic doors & into an elevator, I had to make repeated trips to hand carry thru the doors & up stairs. Very inconvenient. The breakfast was awful: preformed egg things that looked like hockey pucks; terrible coffee; only the cancer-causing sweeteners (no stevia or Splenda); no hot oatmeal. Breakfast lady was lovely but she had to keep apologizing as several of us asked for oatmeal or Splenda or fresh fruit. I stopped & got a pastry & banana just to have on my second morning there. Stayed here because I was doing business in Parsons the next morning. Front desk was very nice and check-in was smooth. This is a two story building withOUT an elevator, so if you have mobility issues, ask for a ground floor room. Room was clean, bed comfortable, very quiet and comfortable. Breakfast was included and consisted of the standard fare, waffles, pastries, eggs, yogurt, fruit, instant oatmeal. Located on the edge of town with lots of other options for meals. I would stay here again. The room and bathroom was very clean. Comfortable bed. The staff was friendly. The continental breakfast was good (they even had delicious coffee creamers. ????) And the whole hotel had a nice clean smell to it. ???????? 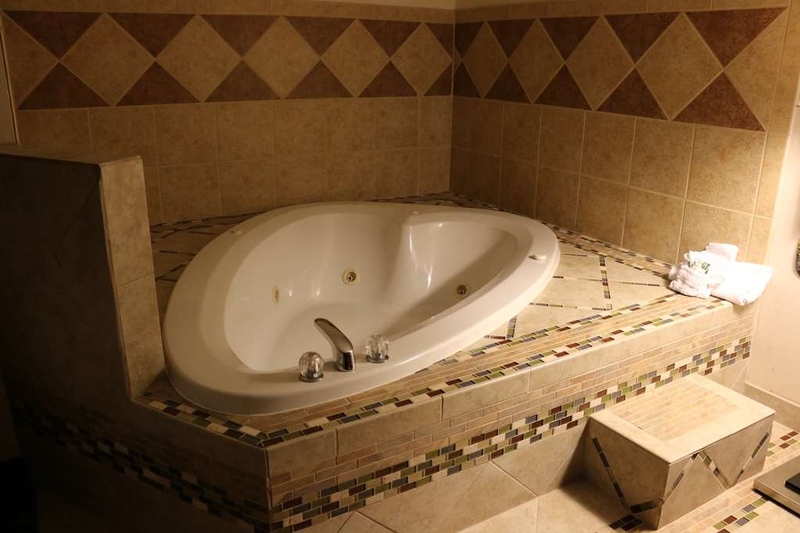 Get the big tub room ! It's worth the little extra money to soak your tired traveling bones. An older hotel but very clean, the bed is comfy and the staff is friendly. The front seemed to always have coffee and candy ... Something I like after hours on the road driving a car! Thank you. "Friendly, helpful staff and clean"
My main criteria for a hotel is cleanliness. The hotel and grounds were well maintained. The staff was very friendly and helpful. This was a business trip and it was conveniently located between downtown and the job. "Nice Hotel In a Small Town"
Stayed here to do work in the city. We had multiple rooms for me and a crew. The room was very clean and simple. Hotel staff was nice. It is definitely worth the price paid. Quiet and functional, what else could you ask for. I stay in hotels every week all over the US and I was very pleased with this one. We stayed one night. It was clean and comfortable. The staff was friendly and welcoming. The only complaint is that breakfast was disorganized, but the attendant was working as hard as she could to keep the breakfast stocked. She could have used some assistance. We would stay again. So, this is probably the best hotel you can find in this town. It's small, no elevator to the second floor and humidity seems to be an issue. But the people here are very friendly and helpful. Everything looks clean and the breakfast is tasty and plentiful. 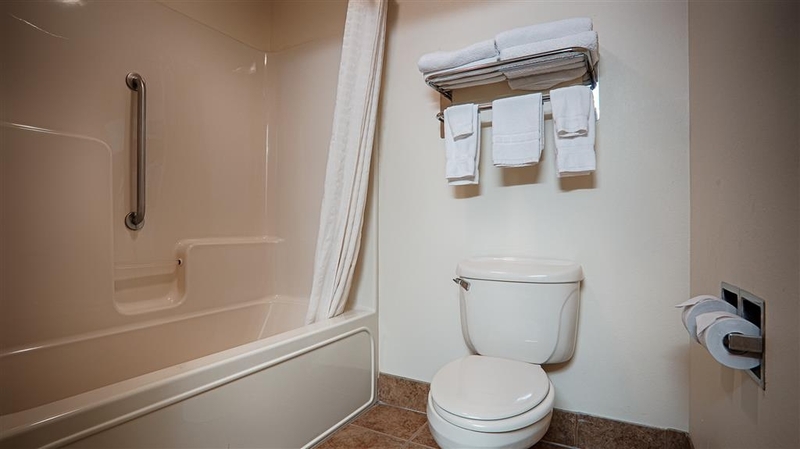 Rooms are average size, beds are comfortable but I dislike having the sink area separate from the bathroom. The hotel was very clean, the staff went to check room before we entered to make sure it was right for us. I was very impressed with the staff and the facility. I would stay here again. They even applied air freshener in the room while we were parking. We walked in and were lucky enough (so we thought) to get a room, only with one bed rather than the two requested. Service was friendly and helpful. However, after finding two waterbugs, hubby delivered the remains to the front desk and we were offered a different room. That was strange given that they said the room we were given was the only one not reserved. We opted not to move thinking the problem resolved. Shower and bed were clean, and while laying there, saw two more water bugs on the ceiling which hubby promptly swatted and we had no more problems. Breakfast was average. Then there was a problem with the billing, but a phone call got that rectified the next day. We rented a 1 bedroom with two queen size beds. The bedroom had an order like wet carpet that didn't go away. We coming home from our trip, The family (Son, Wife and I) started itching. We are covered with bed bites! when finally changed room just to get a working shower noticed it was nicer than what we slept in wish could of got this room first maybe would of had a better experience but I will never know cause I will never stay here again even if it was free!!! There are a limited number of hotel choices in Parsons. Thankfully this one fit what I needed. It is clean ( my number 1 requirement). It was comfortable and the front desk was very helpful. I would stay here again. "Average Hotel, Poor Breakfast, Friendly staff"
You don't have too many options in that area. Its not a bad motel/hotel to stay at, but don't expect a Quality inn type experience. Breakfast was cold, parking was scarce. Remote didn't work either. So it was difficult. The sink is outside the bathroom (some people have a problem with it). I usually try to support local supporters of the College/High School Booster members. I did not see this hotel as a booster member. The hotel is the farthest from the College. 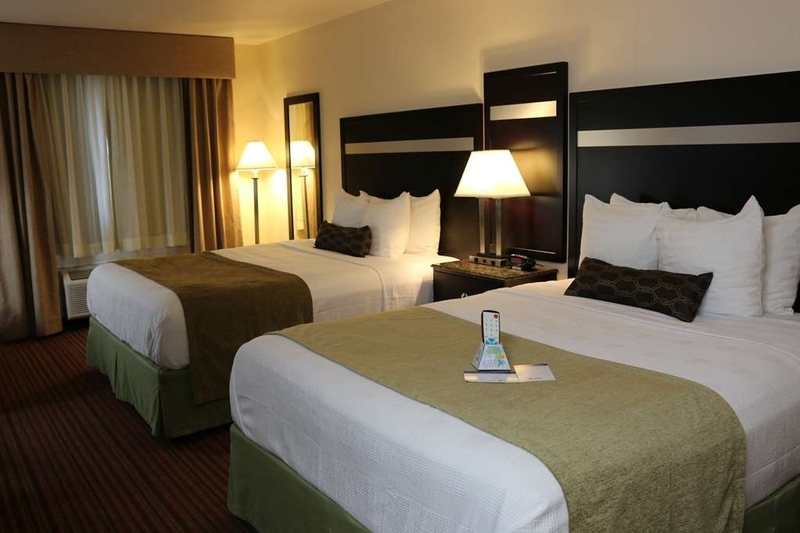 I would recommend this hotel because it is clean, employees are very nice and understanding. Upon arrival the front desk was watching the KC game. Nice hotel and fairly new. Staff was exceptionally helpful. I was tired and struggling to get in the doors with the cart and the receptionist was there in a flash to help me. Beds and showers were very good. Breakfast was normal for BW--palatable. Will stay there again. Do not stay here if you like to exercise while on business. The hotel is average quality. Rooms were clean but internet had some slowness. There is gas and fast food near by. The hotel is on the edge of town and far enough away from the road to be quiet. The breakfast is mediocre at best. The boiled eggs, biscuits and gravy are good but the fruit and other eggs are poor quality. Very nice room with exceptional staff! Kellie, in particular, went above and beyond. I called in twice beforehand and she was helpful and friendly both times. One time when I was coming in, she was even cleaning the rooms. She definitely deserves a raise! Staff is extremely friendly and welcoming each time I come around for business. Really never had any problems during any stay over the past 4 years. I'm giving it high marks for a hotel in this (priced) category. We have stayed here before, and the price, quality, and convenience brought us back again. 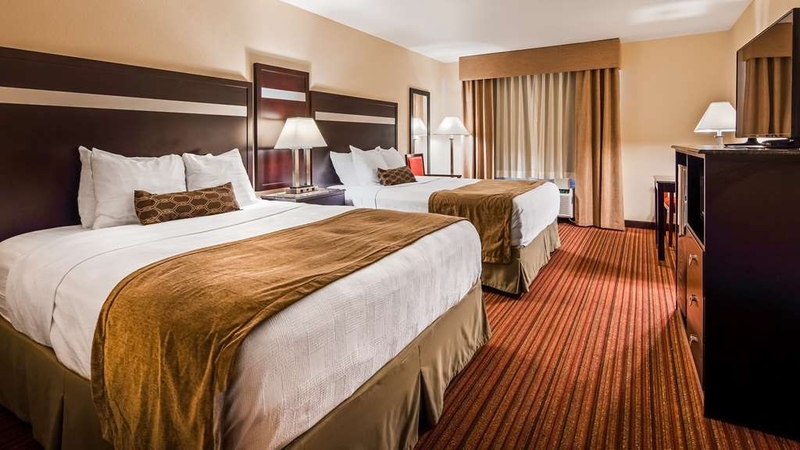 The comfortable room, reasonable price, and great breakfast are all reasons for our return. The staff is friendly and courteous as well. We will be back! 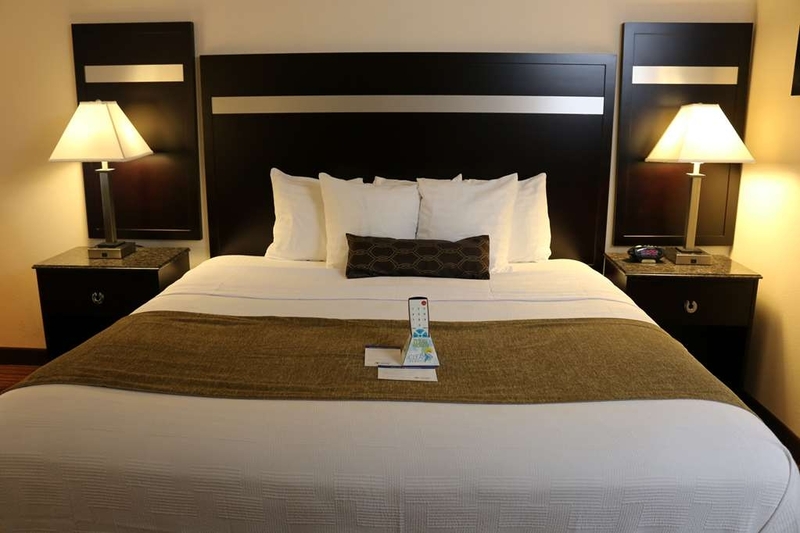 The bed is amazingly comfortable, the staff is courteous and helpful. The price is great as well. We also enjoy the breakfast. as well. The selection is good, and fresh. The coffee service is good. 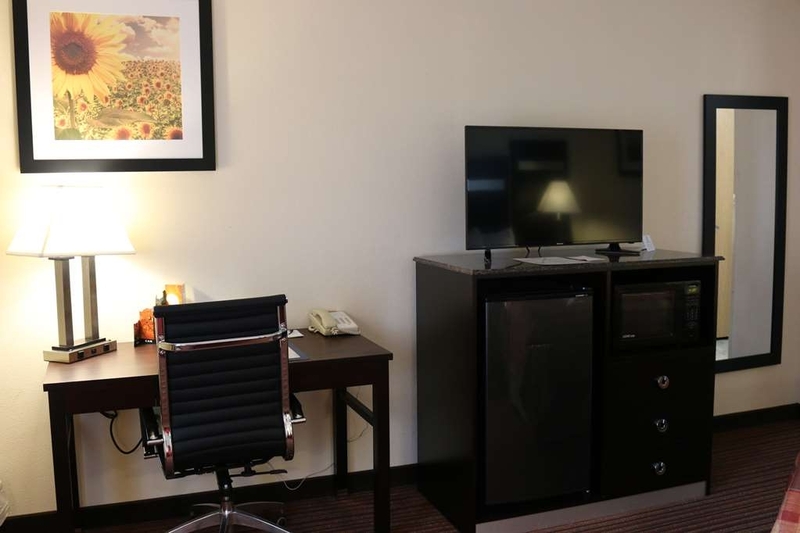 This location is convenient to the college and other local services. We will definitely stay here again. I enjoyed a very pleasant stay. The room was large and clean with good outlets and surface spaces. I also enjoyed the chair and ottoman. The staff warned me that a large group of high school kids were checking in and breakfast would be very busy early. I appreciated the warning. The breakfast was wonderful even after all the kids were done. The only thing I can complain about would be the sheets were very worn. For such a lovely hotel I would think they could have nicer sheets. Great hotel for the price. Best breakfast I have had in a hotel in a while. I would highly recommend this hotel and will definitely stay here in the future. I will also search for Best Western hotels in other towns that I stay, in the future. Nice Inn Lobby & Pool area were clean & staff was friendly and helpful. Room was very comfortable with microwave and small refrigerator. And i know this is subjective - Bed and pillows were outstanding. 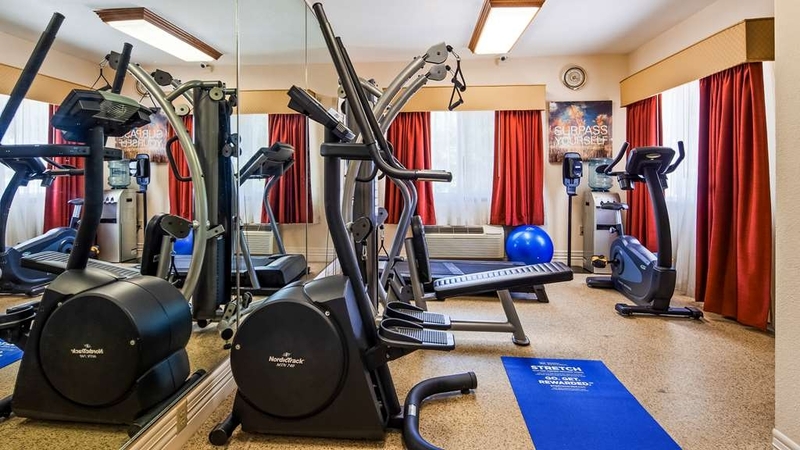 Small but adequate fitness center, TV, stepper, treadmill and bike machines. I enjoyed my experience/stay at this hotel. The lobby looks awesome; the landscaping is beautiful; the lighting was more than significant and interesting. The room was clean, the bed was most comfortable. I would recommend this hotel. The other hotel's in Parson cannot compare to the quality of this Best Western. Lots of amenities and the hotel staff is very friendly. The breakfast was very good and they have flavored water on hand at all times as well as Coffee. Fitness center could use some work though. Clean, Quiet and comfortable location to stay in Parsons, KS. I have stayed at this locations several times over the years and always find the staff helpful and the breakfast a good way to start the day. Everyone was friendly and was ready to help with anything we needed. The pool was nice it gave our kids something to do at night. The food was good. The cleaning ladies did an awesome job of restocking our items we need and with towels since we are a family of 5 they where very helpful. Heading home to CO, my husband and I had a long day of driving & were very tired & in need of a hotel room at 11pm. We drove to this hotel praying they had a room available. We were kindly greeted by a great staff of women working the night shift. We had a dog and they greeted her as well! Really nice room, very clean, great breakfast (they even brought out more eggs when I asked for them). I would stay here again if ever passing through...highly recommend. "Nice place to stay in Parsons"
We arrived prior to the advertised check in time to a sign stating "No Vacancy." I checked at the front desk and found our two reserved rooms were waiting for us, however, there was a mix up with our special request for two first floor rooms due to traveling with our elderly mother and her room was on the second floor with no elevator. We worked around that issue and found it to be a very nice motel and squeaky clean. We were impressed with the "smooth" TV remotes in a stand stating they had been sanitized. Throughout our brief stay the staff and manager were overly accommodating and the breakfast was delicious. We would stay here again. The front desk bent over backwards to book us a room! Very good breakfast! Need to rent a car, to get around! Have a indoor swimming pool, warm water! Coffee in lobby, with cookies & pretzels to eat! Has washer and dryers, $1.50 for each! The Parsons Musium & railroad, a must see! 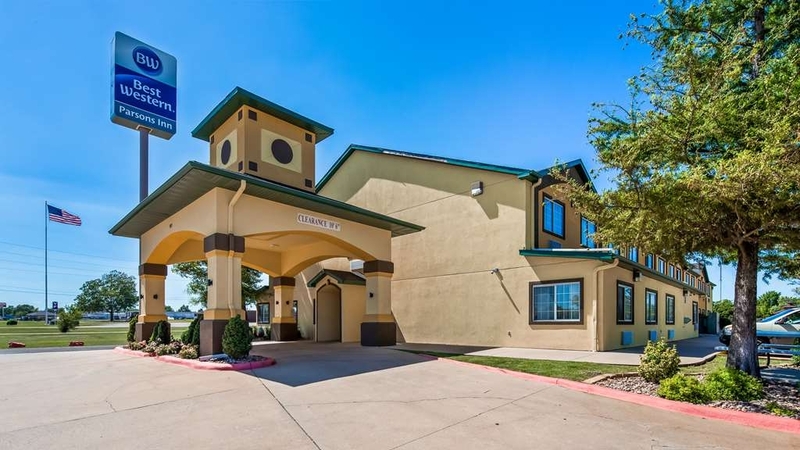 We booked the Best Western in Parsons on our recent visit to a nearby town in Kansas based on Best Western's reputation and our past experience at other Best Western locations. Upon arrival, the "damp" smell in our room was quite noticeable. We reported this to hotel staff and were shown at least 6 other rooms on the ground floor but all had either the same damp, musty smell or an even worse smell, even stale cigarette smoke in a non-smoking room. There is no elevator in this hotel so we chose not to look at 2nd floor options. Staff offered to spray the room with a room deodorizer which really didn't do much. But, the smell was less noticeable if you stayed in the room. Another nuisance was that the toilet was not seated properly and "rocked". Otherwise, the bed was comfortable and appeared to be clean. We stayed the one night but I cannot recommend this hotel because of the odors. 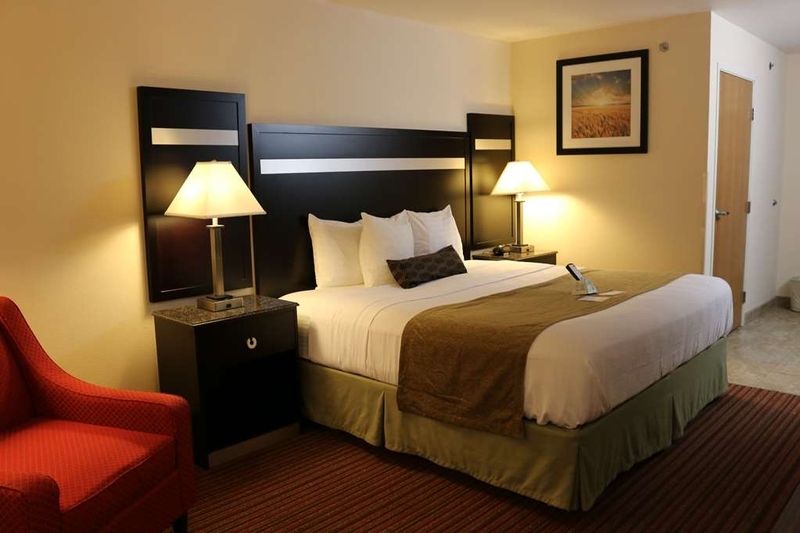 "Very Pleasant in Parsons, KS"
This hotel has the friendliest staff and is super clean. I thought it was very recently built as everything was so well maintained but found out it had been there about 10 years. We were very well taken care of, enjoyed a huge variety of items at breakfast and the heated swimming pool. We will stay at this Best Western again. 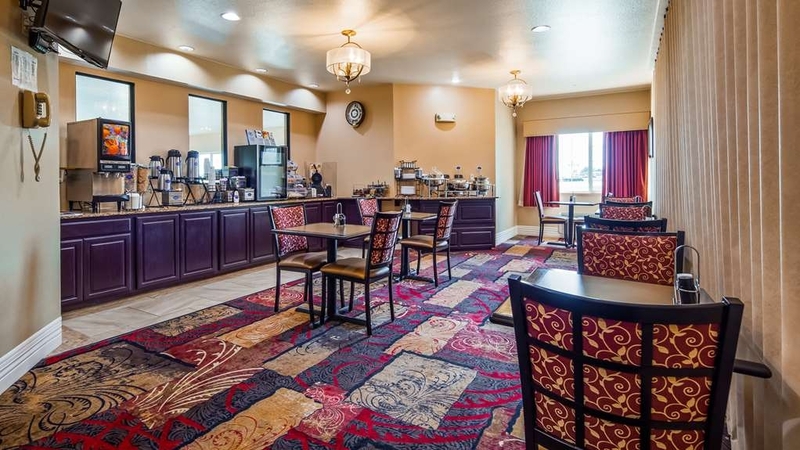 The hotel was very clean and I really appreciated the remodeled lobby and breakfast room. They included a FULL breakfast with a nice selection. Unlike other places that say breakfast and it turns out to be rolls and juice. We have stayed here several times in the past and have never been disappointed. There were several family members and friends at the hotel for a wedding weekend including the bride and groom. I had no complaints. 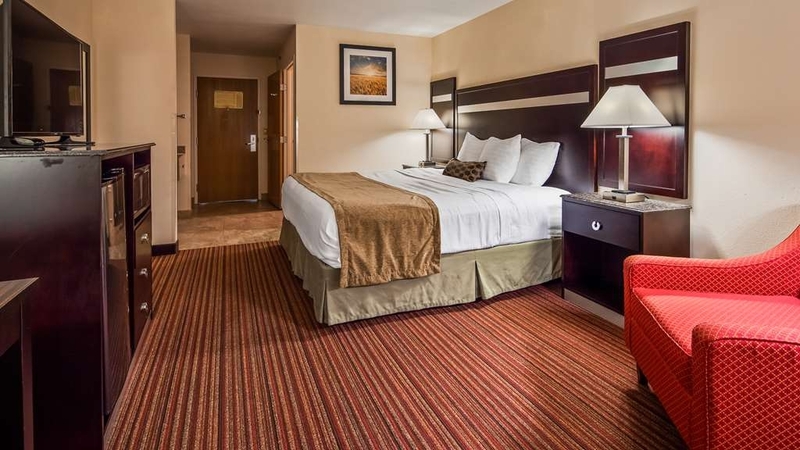 "Best Western in Parsons, KS - EXCELLENT"
The room was clean and free of odor. The staff was pleasant and helpful. Even though I didn't get a chance to use them, they have a pool and a fitness center which appeared clean and well kept. 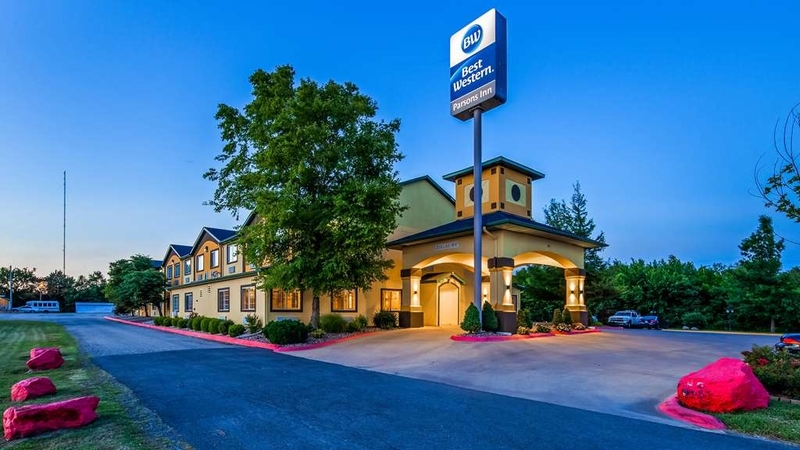 I would recommend this Best Western to anyone traveling to or through Parsons, KS. Hotel is clean and staff was friendly and helpful. Breakfast had many options including bagels, eggs, and bacon for a sandwich. Would definitely stay here again. Recommend to anyone visiting the area.